Worawut's recipe for sweet peanut sauce (น้ำจิ้มสะเต๊ะ , Nam Jim Satay) will make your satay taste the way you remember them in Thailand. 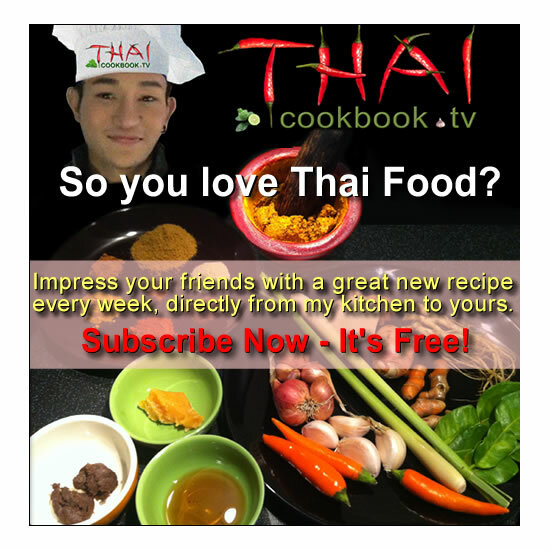 It's made with homemade Thai red curry paste, so it has an amazing array of flavors from fresh lemongrass, galagal, kaffir lime, and dry roasted cumin, coriander, and peppercorns, as well as the nutty sweetness from peanuts and coconut sugar. Although traditionally used as a dipping sauce for chicken or pork satays, this lovely sauce will also make a delicious dip for your vegetable crudite platter. What's in our Sweet Peanut Sauce for Satays. How we make our Sweet Peanut Sauce for Satays. 1) Heat 1/2 the coconut milk until it boils, gets thick, and oils separate. 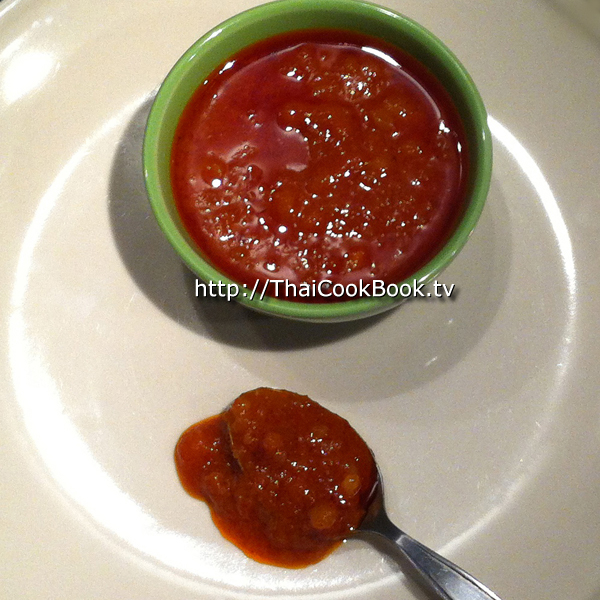 2) Add red curry paste and fry in the coconut oil. 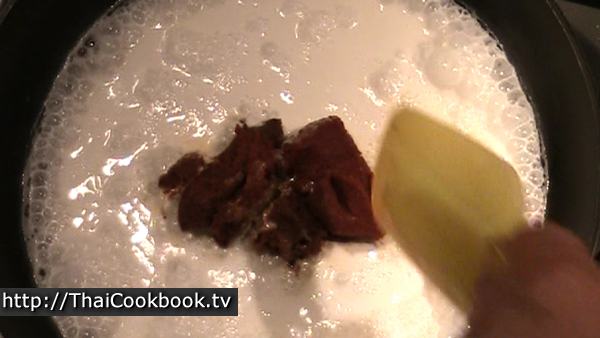 3) Add the other half of the coconut and stir in well. 4) Add chopped peanuts and sugar. Heat until sugar dissolves. 5) Add vinegar, stir well, then remove from the heat and let stand for 2 hours before serving. 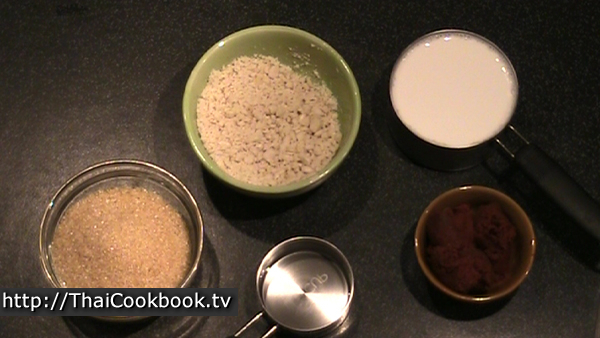 Divide the coconut milk into 2 one cup portions and measure the other ingredients so they are ready to start cooking. Chop the peanuts into a rough texture or grind them a little. You do not want them to be too fine. 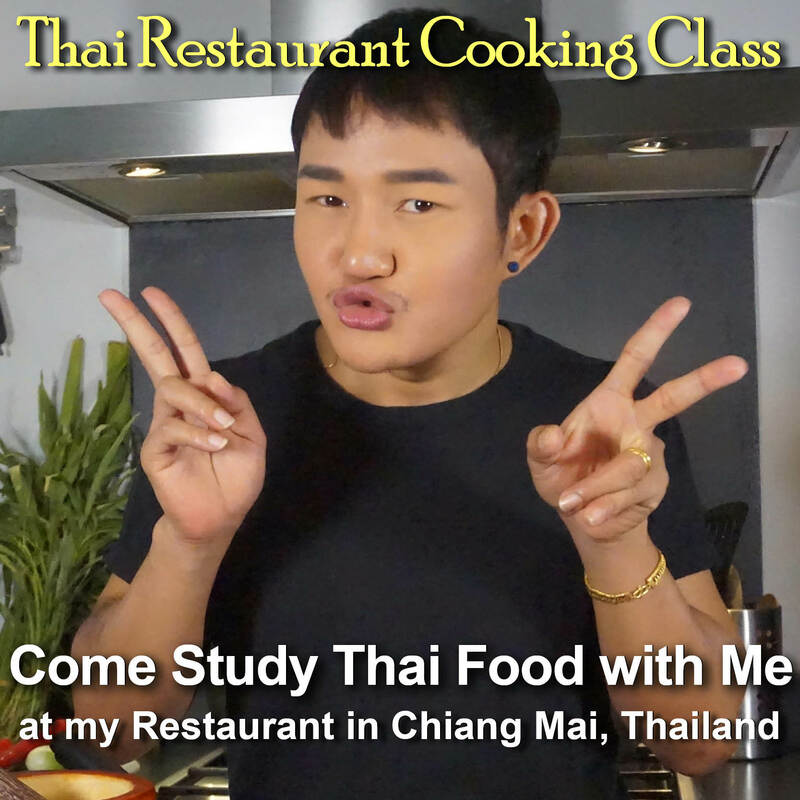 In a small frying pan or wok, heat 1 cup of coconut milk until it boils, then reduce the heat and simmer for about 5 minutes to reduce the water content. When ready, you will see that a lot of the oil from the milk has separated from the white solids. Add the curry paste. Stir the paste into the coconut very well, and fry in the oil for about 3 minutes or until the mixture is smooth and the coconut oil is separating from the curry. Add the second cup of coconut milk, stir in well, then add the chopped peanuts and sugar. 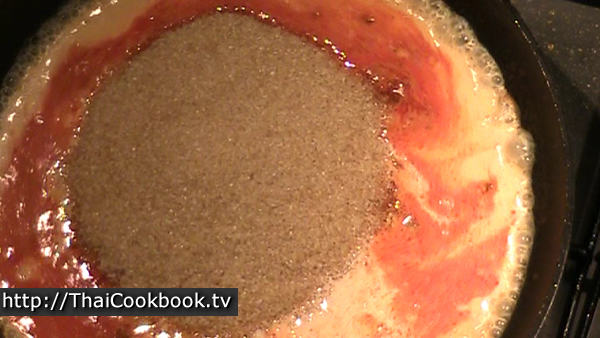 Stir until the sugar is completely melted and the mixture starts to thicken. Add the distilled vinegar and stir in well. Bring back to a boil, then remove from the heat. Let the sauce cool in the pan, then transfer to a bowl and let it sit at room temperature for at least 2 hours before serving. 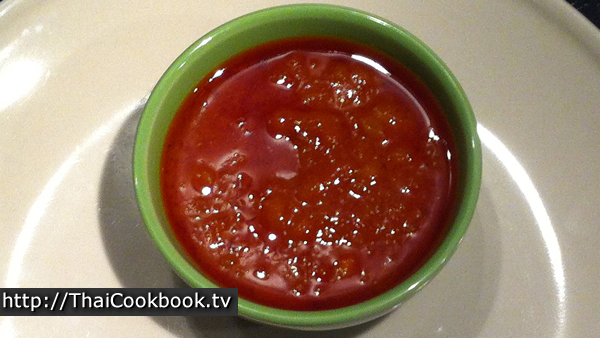 The leftover sauce should be refrigerated, and it will keep well for up to a couple of weeks. Freeze in a tight container to store for longer periods.